The Boosters sponsor a number of special activities during the season. Check the announcements and calendar for dates and times. 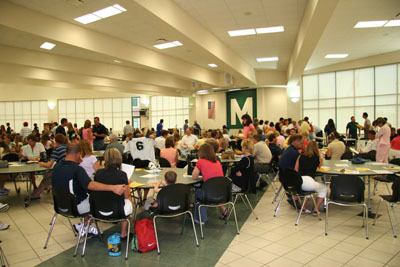 After the teams are announced, the Soccer Boosters host a meeting to recognize all coaches and players. Players are introduced and you'll hear from the coaches about the upcoming season. It's an exciting way to celebrate all the hard work leading up to the start of the season. And, most importantly, you can sign up to help with concessions, senior nights and other booster activities. Proceeds from booster activities go back to the program in the form of college scholarships, soccer bags, training fees, equipment, stadium improvements and other items as needed. Join us for El Caporal's $1 Taco Night. Pedro and his staff provide beef and chicken soft tacos with all of the fixings. Try his new hot sauce if you dare!! El Caporal is a Mason favorite and they offer the most authentic and finest quality Mexican cuisine. Feel the excitement as the Comets defend their turf against conference and local rivals. Fun for everyone, including prizes and some special treats for the fans. The Boosters arrange for Comet matches to be telecast on local access cable ICRC. 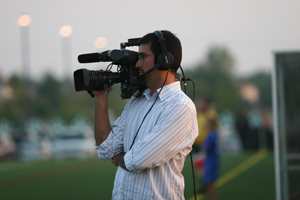 The broadcasts are staffed by booster volunteers, including camera operators and play-by-play announcers. Check the "links" on masonsoccer.com for the ICRC link to find the date and times for the tape replays of the matches. Join us as we honor the Senior girls and their parents. Join us as we honor the Senior boys and their parents. All Fall Sports Athletes are recognized, including special ceremonies for the Boys and Girls Soccer teams.